The U.S. Department of State announced on Wednesday that the United States will provide $32 million in humanitarian aid to Rohingya fleeing Myanmar amid widening persecution. Nearly 400,000 refugees have fled to Bangladesh following recent clashes in Myanmar’s Rakhine state. “Through this support, the United States will help provide emergency shelter, food security, nutritional assistance, health assistance, psychosocial support, water, sanitation and hygiene, livelihoods, social inclusion, non-food items, disaster and crisis risk reduction, restoring family links, and protection to over 400,000 displaced persons in Burma and in Bangladesh,” the State Department said in a press release. 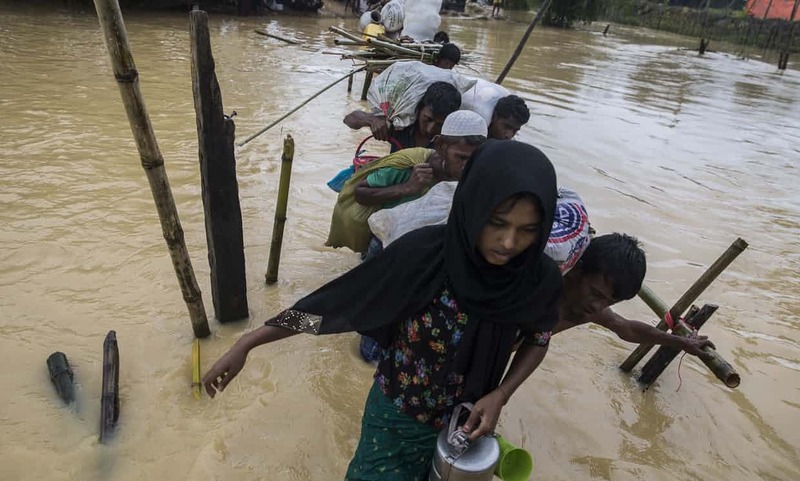 The U.S. announcement came during the annual U.N. General Assembly meeting in New York City where international leaders have spoken about the need for a solution to end the humanitarian emergency in Myanmar. Last week, U.N. High Commissioner for Human Rights Zeid Ra’ad al-Hussain described the army crackdown against Rohingya Muslims as “textbook case of ethnic cleansing.” Secretary-General Antonio Guterres did not dispute his remarks. “When one-third of Rohingya population had to flee, can you find a better word to describe it?” he told reporters a press conference in New York City last week. The U.N. estimates 420,000 Rohingya people have fled to the Cox’s Bazar area of Bangladesh from Myanmar since August 25, when the Arakan Rohingya Salvation Army militant group attacked 30 police outposts in Rakhine state, sparking a government crackdown and widespread violence. There are now almost 620,000 refugees from Myanmar in Bangladesh.